As the weather last week was tropical in the UK (shame its gone back to freezing cold and rain this week), I thought that this is the cue to start getting digging my more summer appropriate shades out. Now I am a fan of a bold nail against a plain dark dress on nights out, however for some reason I very rarely wear bright shades as I don’t deem them work appropriate, and I’m too lazy to change nail polish colour after a night out. 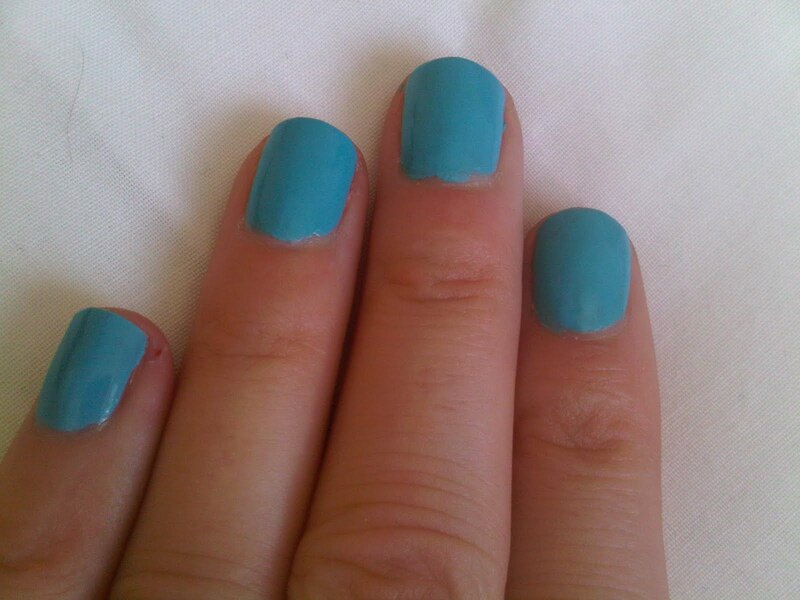 This was one of the first Barry M colours I picked up and I normally pick Models Own Top Turquoise out over this, however if you have to compare the two- Barry M is more blue based, while Models Own is more green based. I would say that out of all the Barry M shades I own the consistency of this polish is more thicker and you can get away with the one coat. I’ve got two coats on in the pictures below (no base or top coat) as you can see its completely opaque. Normally Barry M polishes last me a good 4 days without any chipping, however these lasted 3 days before I removed them- purely due to the fact that I’d been busy filing and my nails were chipped to death. So I haven’t taken any after pictures like normal. Has anyone tried the new Barry M shades yet?? I absolutley love this nail colour! I had a similar one from the 17 brand, I loved how bright and neat it made my nails look!